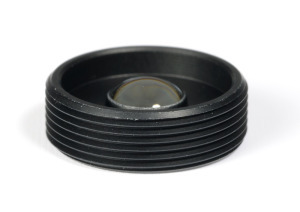 Traditionally, lenses and optical components were coated in soft coating. This is a process that might become obsolete because of the development of a high performing technique known as hard coating. This coating provides myriad advantages over traditional soft coatings. As background, soft coatings are multiple layer films that are used over optical components. The film usually consist of silver, zinc sulfide or cryolyte. In a traditional setting the layers are stacked vertically upon the optical lens and offer protection from environmental contaminants. A soft coating is fragile and the edges of the coating material can degrade if it’s exposed to moisture and through typical use. The use of hard coating on lenses and optical components offer increased benefits compared to their soft counterparts. To add this hard film it is applied in a controlled atmosphere using computer generated programs. The reason for this type of application is that it assures the coating is applied evenly and that it is beneficial for use in high stress environmental settings. Not only is the hard coating believed to be more consistent than soft coatings, but it provides a higher level of wavelength absorption. A hard coated lens is superior in the transmission of wavelengths as compared to soft coating by a margin of up to 90% more. Hard coatings remain constant in their transmission while soft coated lenses and optical components gradually change over time and through use.